It’s the perfect time of year to enjoy a warm bubble bath in your clawfoot tub. Now, imagine climbing out of the tub and wrapping yourself in a giant, fluffy, warm towel. You don’t have to imagine anymore. With a towel warmer, a warm, fluffy towel is only an arm’s reach away. Here at Vintage Tub & Bath, we’re always on the lookout for luxurious, stylish, and affordable brands to offer our customers, which is why we’re excited to introduce the Kontour and Tuzio Collections by Ico. 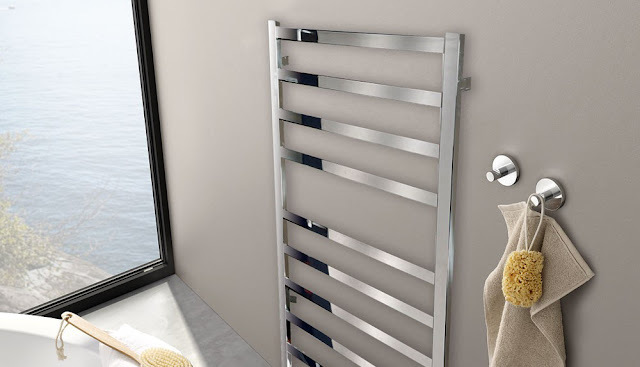 The Tuzio Collection offers a variety of sleek and functional towel warmers, including both hydronic and electronic warmer options. These luxurious towel warmers use a fluid-filled heating technology, which allows for more heating capacity and durability. They begin heating up as soon as they’re turned on, and you’ll feel the heat from a Tuzio Towel Warmer within about 15 minutes. We also offer a variety of accessories to accompany your towel warmer, such as programmable controls, towel hangers, and robe hooks. The Kontour Collection will add a modern style to your home. This collection of affordable towel warmers offers both freestanding and wall mount models in a variety of finishes. 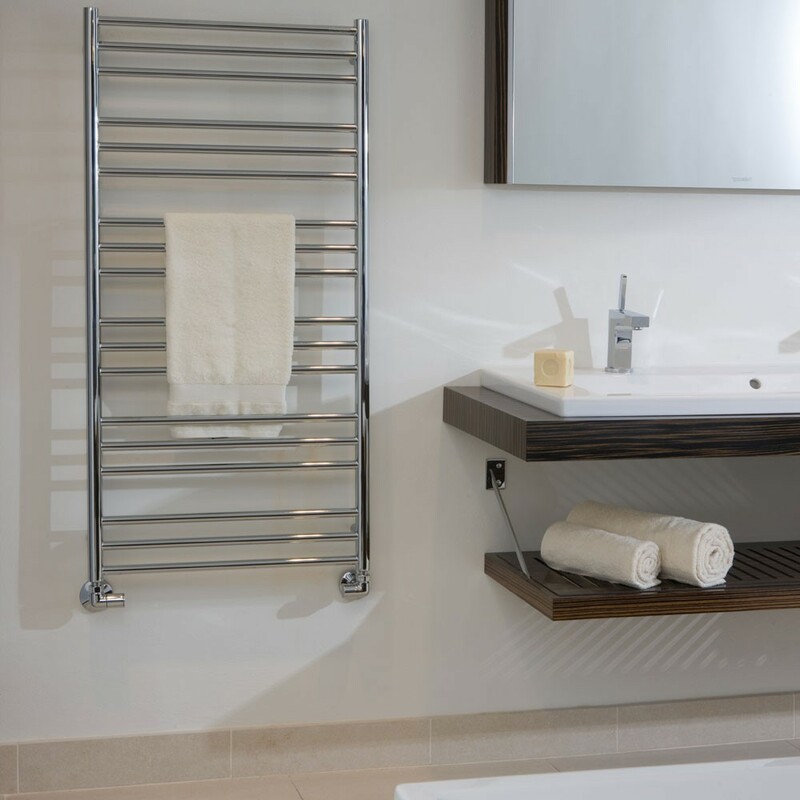 Your Kontour Towel Warmer starts working as soon as it’s turned on and will reach its maximum temperature in approximately 10 minutes. If you’re interested in purchasing a towel warmer and have questions about our Kontour or Tuzio collections, call Vintage Tub & Bath at 877-868-1369 or send us an email at supply@vintagetub.com.